Ashoori, M., Tarokh, M. (2014). Applying the Process Mining Project Methodology for Insurance Risks Reduction. International Journal of Research in Industrial Engineering, 3(4), 57-69. M. Ashoori; M.J. Tarokh. "Applying the Process Mining Project Methodology for Insurance Risks Reduction". 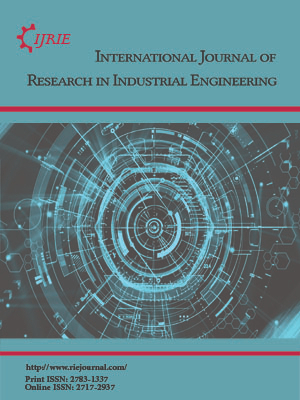 International Journal of Research in Industrial Engineering, 3, 4, 2014, 57-69. Ashoori, M., Tarokh, M. (2014). 'Applying the Process Mining Project Methodology for Insurance Risks Reduction', International Journal of Research in Industrial Engineering, 3(4), pp. 57-69. Ashoori, M., Tarokh, M. Applying the Process Mining Project Methodology for Insurance Risks Reduction. International Journal of Research in Industrial Engineering, 2014; 3(4): 57-69. 1Department of Industrial Engineering, K. N. Toosi University of Technology, Tehran, Iran. Risk is a destructive phenomenon, which is an integral part of any business. Process mining is a form of a business process analysis based on the recorded process data by information systems, whose its aim is to discover process, control, data, organizational and social structures from event logs. A process mining project methodology (PMPM) is considered as especially useful in the process mining project, which a comprehensive methodology that can be used as an efficient and effective approach for applying process mining in practice. This methodology made us sure that all important activities are performed and prevented of redundant work. This paper utilizes the PMPM for risk reduction to increase the organization agility against competitors and obtain the more market share. Evaluating the case study results with trace alignment method confirms expert confirmations. Trace alignment shows interesting patterns and provide better insight on process executions.